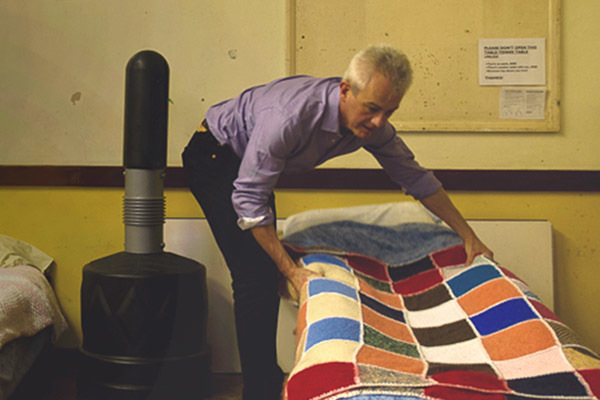 Hackney Winter Night Shelter has been opening doors to homeless people in the borough since 1996. Each year we fill over 3,500 beds from the start of November to the end of March. We help around 70 people every year to find more stable accommodation. What started as a network of volunteers from local churches has developed into an effective route out of homelessness for many it supports. We receive no up front funding from local or national governments and rely on the donations, grants and fundraising from our patterns and supporters to deliver the service to our guests. We are a volunteer-led organisation that values the contributions and experience of volunteers from all walks of life. Our values guide our work and our approach. We welcome guests and volunteers from any and all backgrounds. We can only do all of our work with the generous support of the people from Hackney and our partners.